When the EUROPA 2 sets sail for the Balearic Islands and the Cote d’Azur in July 2019, the guests on board can look forward to being entertained by the electronic pop artist Christopher von Deylen, aka SCHILLER. For the first time, SCHILLER will be curating the entertainment for the entire cruise and will be giving audio-visual performances in award-winning surround sound: 360 degrees of experiences for the senses. 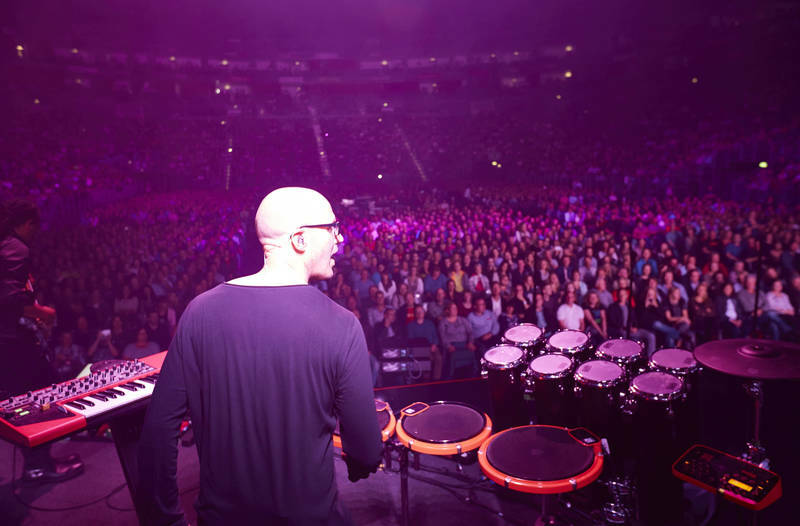 Straight after his Germany-wide arena tour, SCHILLER will be taking the guests of the EUROPA 2 on a unique and exhilarating voyage of sound. With over seven million album sales under his belt, as well as sell-out tours and numerous gold and platinum records, Christopher von Deylen has had a major impact on the international electronic pop scene under the name of SCHILLER. Given his reputation for epic stage shows, the audience on board Hapag-Lloyd Cruises’ luxury ship will enjoy an amazing experience as he transports them into an all-absorbing musical dream world, mystical atmospheres and emotions – complementing the spectacular landscapes of this magical Mediterranean route. Along with a brilliant light show, SCHILLER will also be showcasing his award-winning surround sound. The concerts on board will feature international guest artists and a visual performance with powerful images and projections, while the audience will be immersed in the mesmerising aesthetics of harmonious soundscapes and dreamlike imagery. The guests on this extraordinary Mediterranean cruise can also look forward to further exclusive premieres: exquisite dinner menu compositions with intense flavour experiences and a soundtrack to intoxicate the senses. Mysterious lighting moods and chilled evenings under the starry skies in the style of the legendary Cafe del Mar bring SCHILLER’s concept full circle as – like the title of his track “Die Reise geht weiter” says – the journey continues. Schiller cruise: 21.07.2019 – 29.07.2019, departing from and ending in Mallorca, from € 4,990 ($ 5,740, £ 4,250) per person (cruise only).